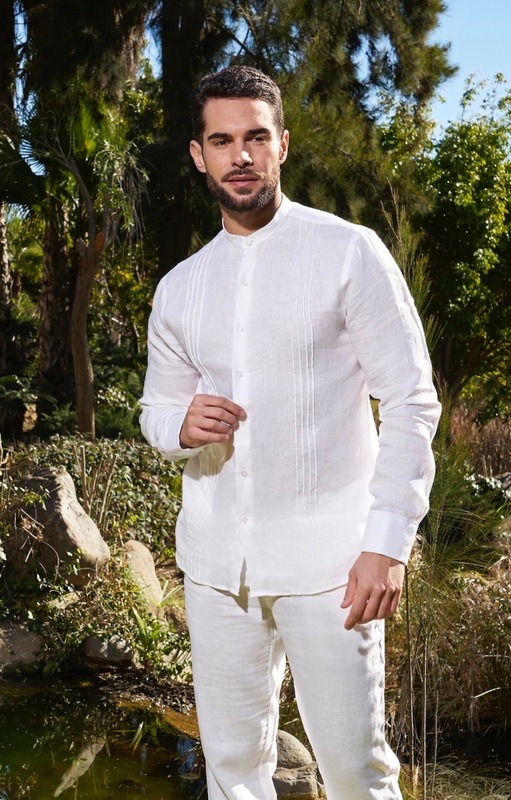 Linen shirt Sotogrande for men crafted in Spain with pure linen. 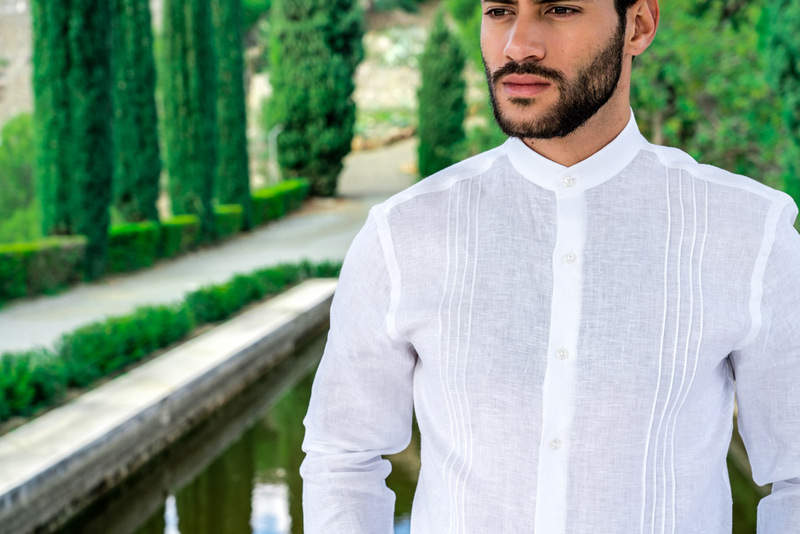 Long sleeve linen shirt Made in Spain. This 100% Linen shirt with Mao collar may be dressed with button cuffs and cufflinks. Slim Fit.